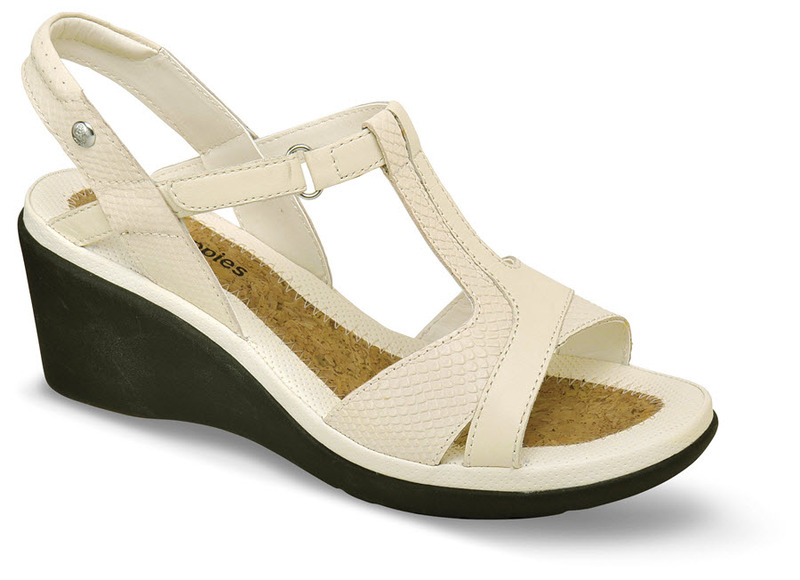 Rising above other sandals, the "Natasha Russo" from Hush Puppies has a molded TPR wedge outsole with 2½-inch heel height and WaveFlex® cobblestone tread design. Full grain uppers of off-white leather are lined with leather. 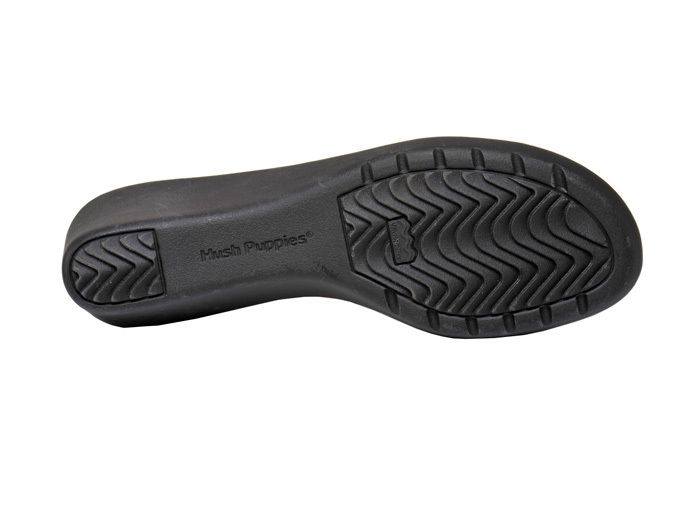 An EVA midsole with latex foam insert under the ball of the foot is topped with a comfortable natural cork sock lining. Easy hook-and-loop strap closure. Originally $78.95. Limited stock in women’s EW (2E) width in sizes indicated.